Those are the types of questions I received after arriving back from attending PASS Summit 2014. More have come in from various places and not just locally so I figured I would share my experience as so many have inquired. After touchdown we made our way over to the hotels we were staying at. I always stay in the Grand Hyatt; not sure why, but just have since I’ve been attending. Always nice people and have never had a problem. Walking over to register at the convention center I knew it was game on. I just stood back and looked at the steps in the picture on the left. I remember saying to myself, “time to learn”. Little did I know what I was in store for with the upcoming week…more on that as you read. Upon grabbing some dinner with my colleagues at the Daily Grille we were gearing up for the welcome reception. It was there I got to see some of my ole friends I hadn’t seen in a year or even longer. Great conversations ensued and Tom Larock (B | T) got us off to the right start. You could feel the vibe in the room and how everyone was excited to be there and about the week that we were about to embark on. After talking with many of my friends it was time to head over to SQL Sentry’s VIP party at the Pike Brewing Company. What an awesome experience to talk with a lot of my friends and many new friends. For those of you who are not aware of SQL Sentry I implore you to check them out. Peter Shire (T) and Aaron Bertrand (B | T) are a few of the people I follow who are associated with this great company. They also provide a product called SQL Sentry Plan Explorer that I highly recommend. All in all it was a great night full of conversation and mingling. Had a great time and am thankful to have been a part of it. Well done SQL Sentry…..well done indeed. After starting off on the right foot Tuesday, little did I know how awesome Wednesday would be. This day I joined in on the #SQLRun. This really wasn’t early to me as back home it would have been 9:00 a.m. so I was ready. As we waited to take off I got to speak with one of the guys who’ve I’ve looked up to a lot in my career, Steve Jones (B | T). While we’ve met before at previous events it is always good just to talk to him of things outside of SQL; truly a stand up guy who genuinely cares about people. 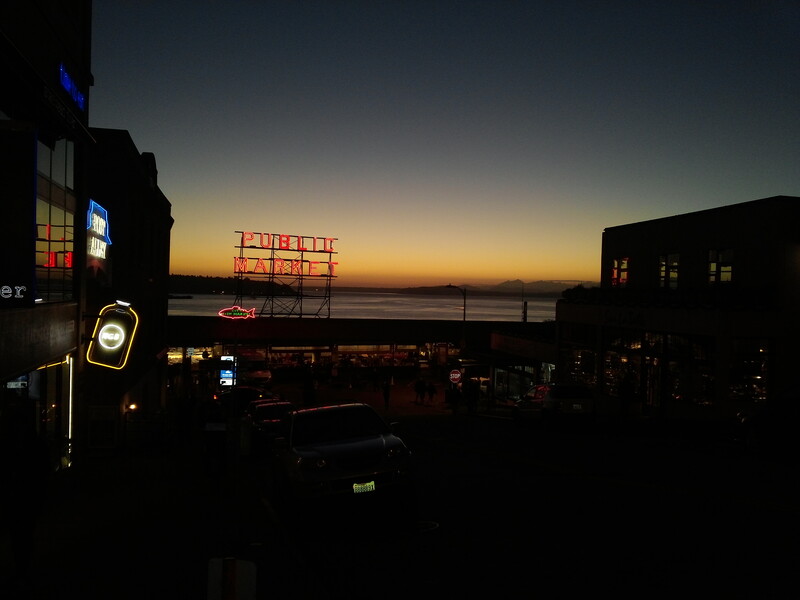 The run was superb; running down by the water and up by the Space Needle. On the way back I just so happened to be running next to Rob Farley (B | T) when I started to cramp up; something I have been battling with my legs. As we continued to run, Rob talked me through it and got me to the finish line; if it wasn’t for his keeping me focused and the cadence down I doubt I would have. After breakfast I decided to hit a few sessions I wanted to hear. First up was Ryan Adams (B | T) who gave a session on Always On a quick start guide. This session ended up being one of my favorites and was the very first one I went to. Ryan, you rock dude. Third was Sean McCown (B | T) on performance tuning your backups; first time I sat in on this session of his but picked up a few tricks. Last up was Robert Davis (B | T) on boosting performance with indexing. The SQL Soldier put on a great session and a lot of reinforcement was done in listening to the techniques shown. Later that night I was excited to attend an event I was invited to, the LinchPin party, where I was stoked to talk with people like Mike Walsh (B | T) and Jason Brimhall (B | T). John Sterrett (B | T), ,whom I value greatly as a friend and community member, got the night started off nicely for me. Having a great conversation with John is exactly what I needed discussing things form PBM (Policy Based Management) to CMS (Central Management Server). Getting to speak with several of my friends at the party was fantastic. I attended a couple sessions on Thursday but the one I want to mention here for this day was Adam Machanic’s (B | T) Query Tuning Mastery: Manhandling Parallelism, 2014 edition. Good gosh what a great mind this guy has. 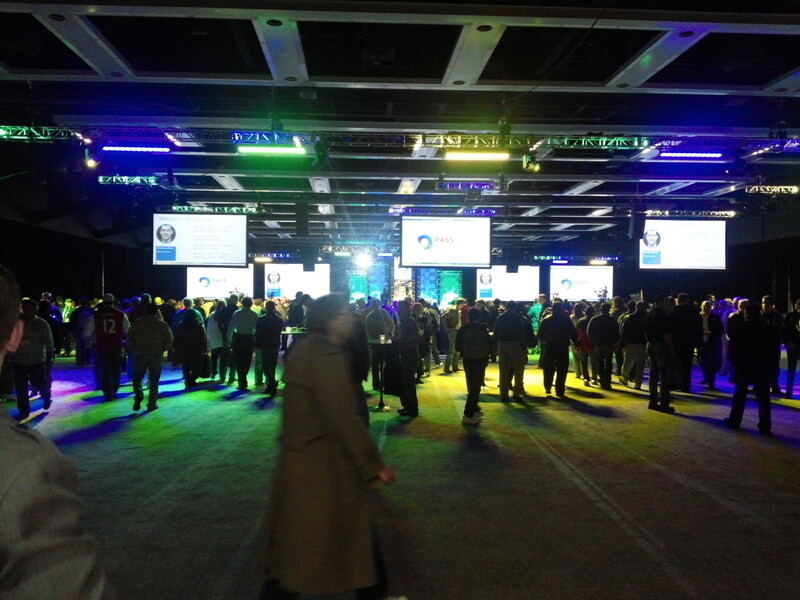 It just so happened that while attending PASS Summit the following week I was hosting T-SQL Tuesday; for more on that you can click here. After some great sessions and hitting the Community Zone again I was off to one of the events I was looking forward to – The Friends of RedGate dinner over at Farestart. I’ve enjoyed being a FORG this year; I believe in their products and utilize them daily. The story behind the restaurant itself was pretty amazing and I got to hang with some amazing people. TJay Belt (B | T), Julie Koesmarno (B | T), and Mickey Stuewe (B | T) “missed you Jeffrey Verheul (B | T) to name a few. Meeting the RedGate team that I’ve come accustomed to chatting with frequently was a big highlight for me. If you don’t know about their tools you can contact me and I will be happy to let you know my views on them. Friday seemed like a whirlwind. It was nice to have many discussions with attendees who just wanted to come up and talk. I found myself in some pretty good conversations throughout the day; in walking back to the community zone and saying bye to my RedGate friends I ran into Argenis Fernandez (B | T). I supported his cause for “Argenis without Borders” (Doctors Without Borders) and he hooked me up with a ribbon for my credentials. I’ve heard Argenis speak on occasions; if you haven’t stop what you are doing and find a video or webinar. This dude is passionate about his work and highly recommended. So, had a very eventful week. One might say it was non-stop which I enjoyed. However with that said one thing sticks out in my mind above and beyond everything else ~ the People. Guys, I don’t know how else to explain it until you lived it. The camaraderie that exists is second to none. 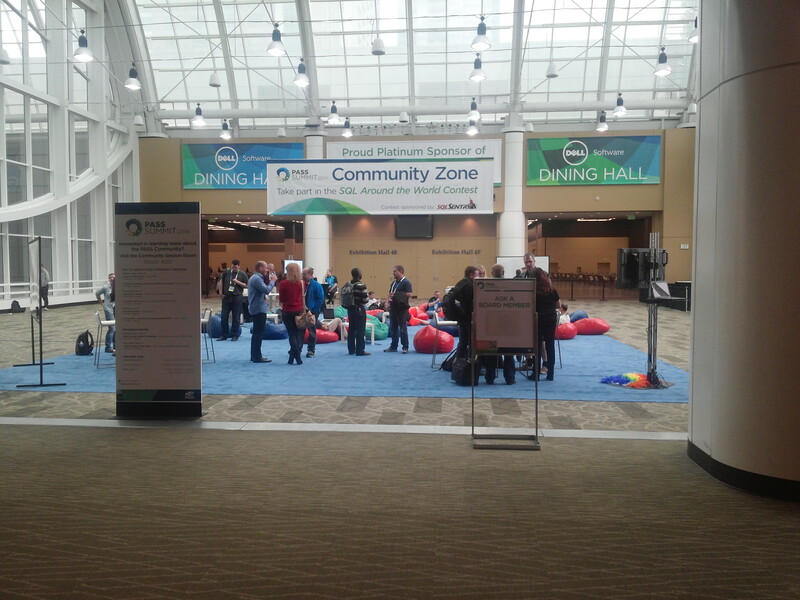 Seeing people in the Community Zone discussing things about issues, or simply just hanging out with friends is surreal. Walking around with the vendors having fruitful conversations on what may or may not work in your shop and why. Hitting the SQL Clinic to discuss problems and get solutions from some of the best minds in the world. All this rolled up into one setting can be overwhelming for some; for me it was so much more than that. Building friendships while learning some new things; what could be better? Allen Kinsel (B | T) speaking to him for a little bit was a great highlight for me. One of the most down to earth people I’ve been privileged to meet. Steve Jones (B | T) this guy is one of my Fab Five; easy going guy who knows his stuff. One of the all around good guys in our community. Jes Borland (B | T) I can’t say enough about Jes; one of the most talented SQL minds in our industry, running motivator, and inspiration to many. Ted Krueger (B | T) mad props to this guy. First time I got to speak with Ted (meeting him at some of the parties); I have the utmost respect for him and if you don’t follow him, well then you are missing out. Andy Leanord (B | T) I was blessed enough to spend some good quality time with Andy over breakfast one morning. This was one of my highlights and while I won’t go into detail about our hour long conversation; no words can express my gratitude for this man. Mike Walsh (B | T) you ever meet someone and been like; man I should have reached out to you a long time ago. This is another guy who invested some time in me while at PASS Summit 2014 and I can’t thank him enough. Like Ted if you don’t follow this guy then you are missing out. Tom Roush (B | T) many talks with this man and he is becoming a good friend. While our conversations remain separate from this post; I want to say thank you my friend. Grant Fritchey (B | T) love talking to Grant every chance I get. Has extremely helped me in my career with many things; I truly admire his tireless work ethic. Tim Chapman (B | T) dude is the real deal; I’d go to battle with him any day of the week and twice on Sunday. The list could go on and on of discussions had, people met, bridges formed. While I picked up some stellar information I left with one major thing more so than when I attended in the past. Investing time in others – seems simple enough doesn’t it? All my life starting with my basketball days in high school and college, to my career as a data professional people have been investing time with me. To the coach who would arrive at 3:30 a.m. for wind sprints in high school, to my mom holding up a broom in front of me while shooting hundreds of jump shots, to the senior in college who took me aside and taught me how to be a true point guard, to the Chris Shaw’s, Steve Jones’s, John Sansom’s (B | T) in our industry; all these people have one thing in common. They all invested time in me. For me that is what makes this SQL Community so special and what makes PASS Summit such an exciting place for me. Sure you can tap into the learning, that is why most attend. It is when you tap into that extra percent and have meaningful conversations with people does it really hit home. Do I still have a lot to learn? You bet your SQL database I do. I’m not perfect by any means; only thing I can offer are my past experiences, what I’ve learned and will learn, and encourage others to keep fighting the good fight. I believe in our SQL Community and will continue to work hard and be an advocate for it; I will be here for as long as it will have me. As my friend Chris Shaw told me many years ago; “pull up a chair and stay a while”. I think I just might. 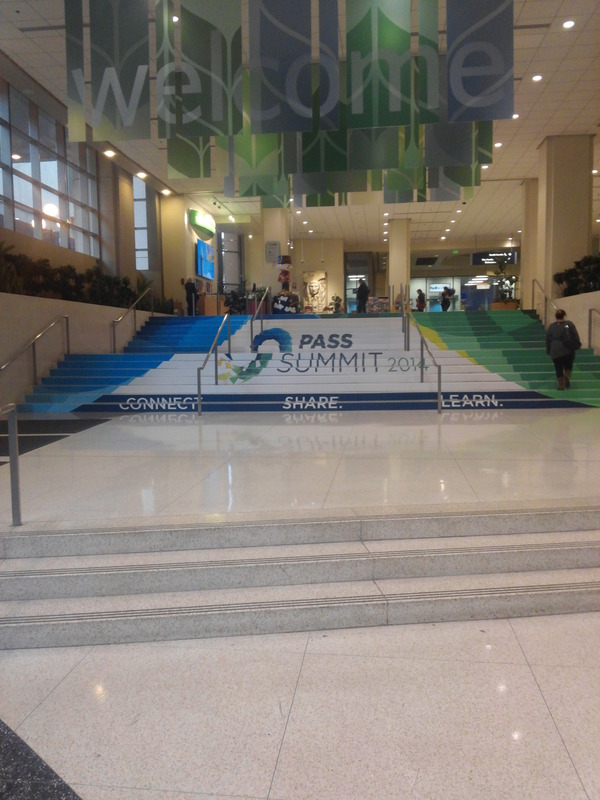 A BIG HUGE thank you for all the people who made PASS Summit happen. I made it a point to go to the volunteers when I could and just tell them thank you. Countless hours went into this and wanted to make sure nothing was overlooked. While speaking on occasions, I know what goes into it; a huge thank you to all the speakers for taking the time to invest in others; it is not taken for granted. 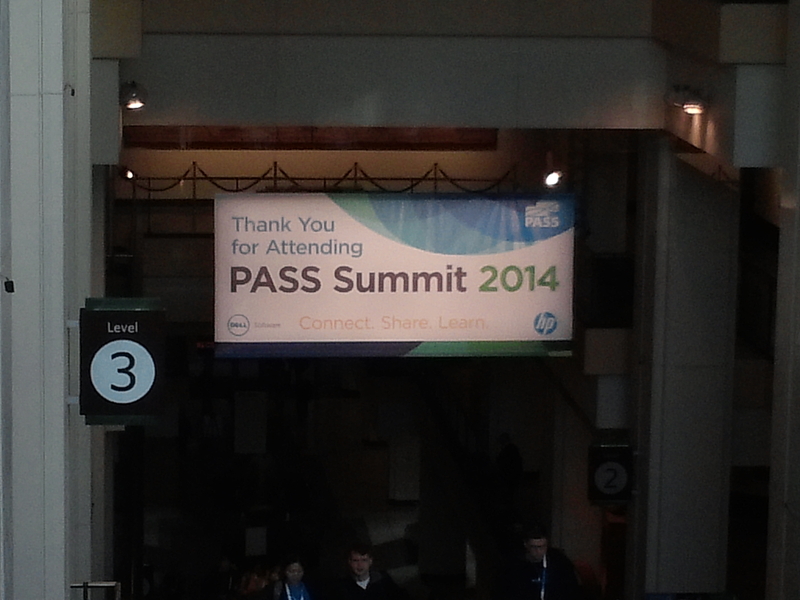 Until the next PASS Summit……cheers! This entry was posted in SQL Server, SQLServerPedia Syndication and tagged SQLServer by Chris Yates. Bookmark the permalink.